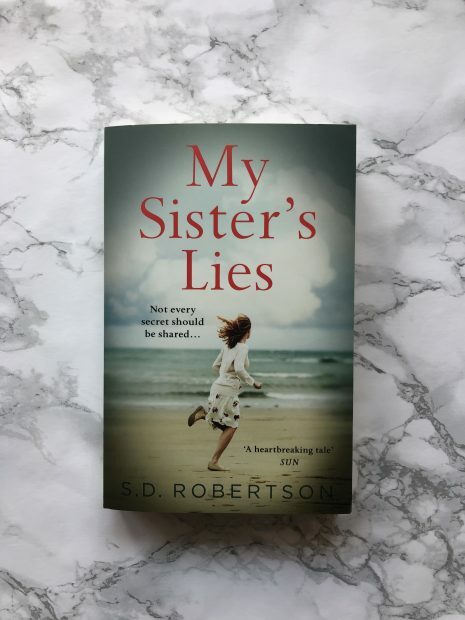 Brace yourself for a whirlwind of emotions in My Sister’s Lies by S. D. Robertson. Hannah’s life is pretty close to perfect: she has a great job, she’s married to Mark, and she enjoys her child-free existence. The only sadness in her life is a fall out with her sister Diane, who hasn’t spoken to her in over ten years. But now Diane is on her doorstep – and this time, she’s got her teenage daughter Mia in tow. When Diane asks if Mia can stay with Hannah and Mark for a few days, Hannah is glad of the chance to get to know her niece. But as the days turn into weeks, Hannah wonders why her sister hasn’t been in touch. Diane is carrying a devastating secret and will destroy Hannah’s carefully constructed life. But how much is she willing to reveal – and when will she pick her moment? The prologue really makes you want to read this book in one sitting, as you’re constantly questioning the ‘who’ and the ‘why’ – jumping back 12 days earlier, you start on an emotive and exceptionally well-written journey to find out the truth. This was a very quick book to read, with lots of conversation, so you can really turn those pages quickly. I also found it really sad, and that’s rare for me – I even shed a tear (or 20). SAY WHAT?! It really shines the light on how different people act when it comes to grief, as well as dealing with troubling topics like suicide, broken families, mental health and how lies/ secrets can affect so many people. There are smaller chapters with transcripts from ‘client sessions’, which I found really interesting. It bought up topics in a different way and raised more questions which were answered later. There is a fair amount of repetition in some places, but I liked that because it was just reinforcing certain points, so don’t let this put you off. However, it was a slow-burning book, so patience is needed with My Sister’s Lies. I liked the ending (as much as one could in the circumstances) and brought it together in a satisfying way.